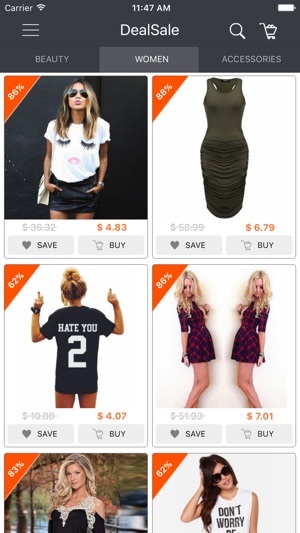 DealSale is a free fashion shopping APP at your fingertips. 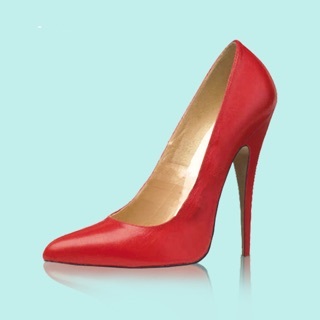 You can find hottest items at incredible prices here, including clothes, shoes, bags, makeup and accessories. 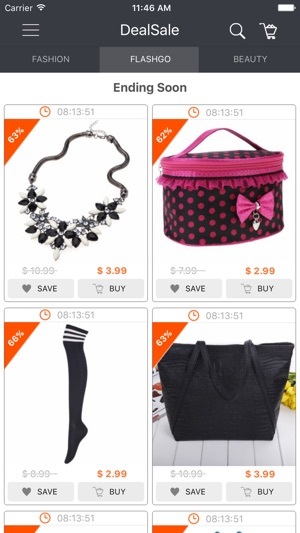 Get timely alerts on great deals with substantial discounts, every day! 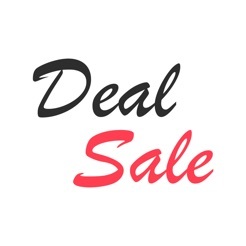 Moreover, it’s easier to browse, buy, and manage your DealSale experience whenever and wherever. 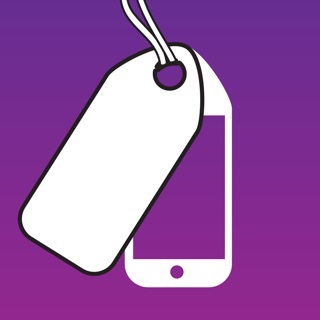 Also, enjoy App exclusive offers that entitle you to special discounts! 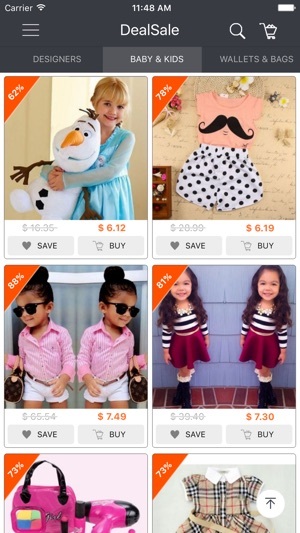 - Save Big Every Day: Shop for today's deals, happy hour deals and exclusive App-only deals. 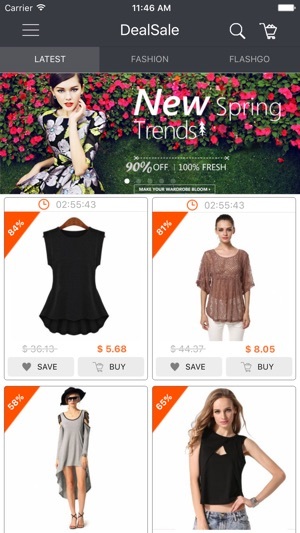 - Flash Sales: Lowest possible prices at 70% discount in limited time. 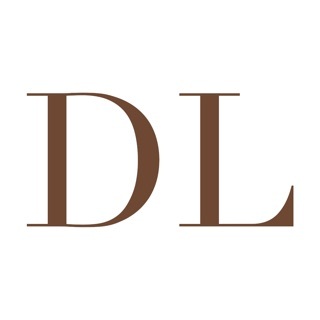 - Cash Coupon: Login using your $100 coupon. 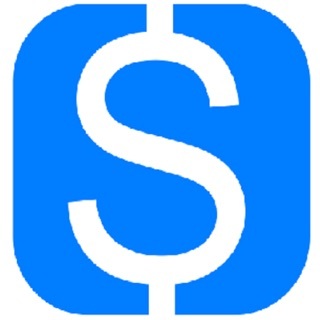 - Fast and Secure Online Payments: Paypal and Credit Card. 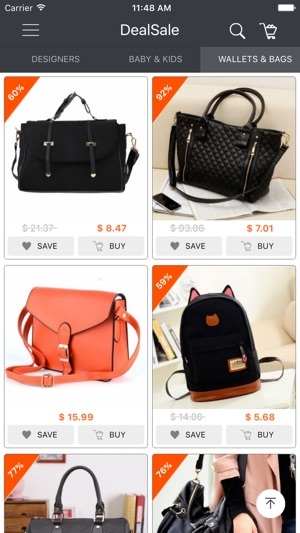 - One-touch Wishlist: Add products to your Wishlist with just one tap. - Share: Share products with friends via Facebook, Instagram, Twitter or other social medias. 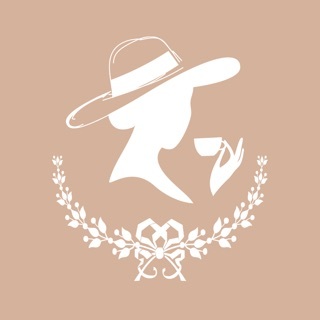 - Personalized Recommendation: Receive instant updates based on your favorites. - My Account: Improved personal center including notifications, inviting friends and so on. - Speed improvements: Buying is now faster. This is not user friendly and is way to slow to load. At first, you're prompted to buy things which are at pretty cheap prices, they give you this coupon which you can't really use at all, and it's not like its monetary value off of your items, it's just a measly little 10 percent off your entire purchase not per item. After that, say goodbye to those cheap prizes, it's still considerably cheaper than other places, but the increase is super crazy, they chalk it up to "shipping" but before you make the purchase it says estimated shipping should be like 7-6 bucks for certain products, it ends up being like 20-27 dollars. I actually got a pretty cool little contouring kit for cheap which was my first buy, that's the only reason why I gave it two stars. © 2016 HONGKONG LINEMART LIMITED, All Rights Reserved.